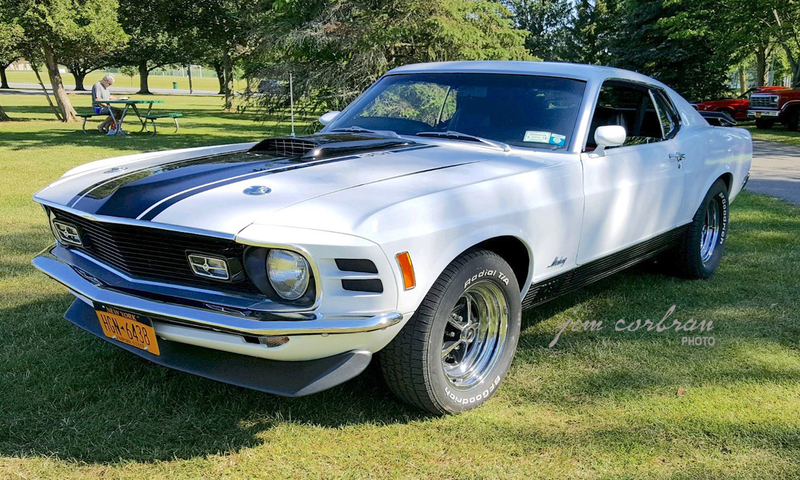 The muscle car era may have been nearing its peak when this 1970 Ford Mustang Mach 1 hit the showrooms. A 351 2V V8 was standard; options started with the 300-hp 4V version, and moved on up to the 428 Cobra V8. 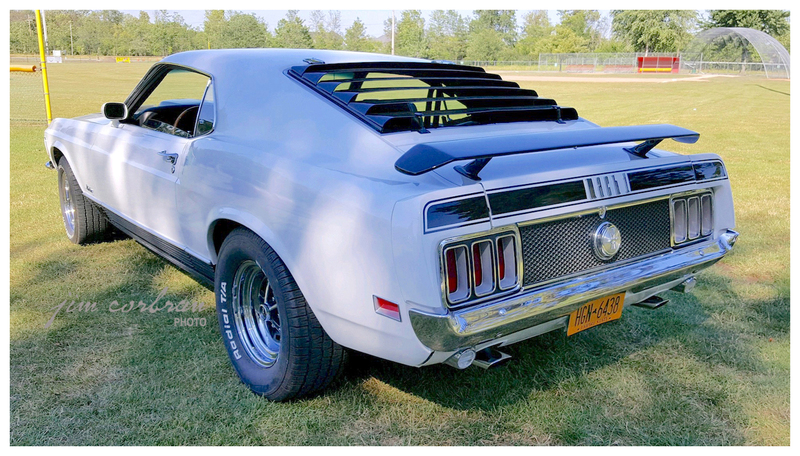 Ford advertised the car as having “a balanced wide-tread chassis and sports car design suspension.” In addition to the usual choices, it was also available in a range of special colors: Vermillion, Grabber Green, Grabber Orange, Grabber Blue, and Bright Yellow. This white example was seen last summer in Clarence.